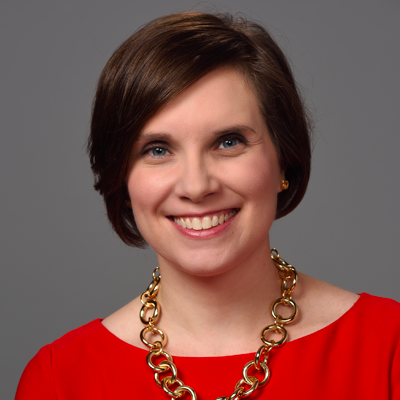 Dr. Dana Brown began her tenure as the executive director of the Pennsylvania Center for Women and Politics and assistant professor of political science at Chatham University in July of 2010. Dr. Brown earned her doctorate in American Politics and Women and Politics at Rutgers University where she also received her master's degree in political science. Dr. Brown has presented research on women in politics, political psychology, political media, and political participation by women of color. Dr. Brown is also active in the community. She currently serves in the following capacity: Governor Wolf's Pennsylvania Commission for Women, PLEN's (Public Leadership Education Network) Board of Directors, Adagio Health's Advisory Council, a Pennsylvania delegate to the Vision 2020 program at the Institute for Women's Health and Leadership at Drexel University, an Advisory Board member to the YWCA Greater Pittsburgh's Center for Race & Gender Equity, the Executive Women's Council and its Women on Boards Committee, and 74% Kitchen Cabinet at Robert Morris University Bayer Center for Nonprofit Management, and the Pennsylvania Advisory Committee to the U.S. Global Leadership Coalition. Dr. Brown's work and leadership in women and politics has been recognized in the following ways: the Obama White House acknowledged her work at the Center by inviting her to participate in a conference on girls' leadership and civic education. In 2014 Dr. Brown was recognized in Pittsburgh Magazine as one of Pittsburgh's "40 Under 40." In 2018 City & State PA recognized Dr. Brown as one of 25 women from across the Commonwealth who have exhibited exemplary leadership in their field as well as earning AAUW PA's Gateway to Equity Award. 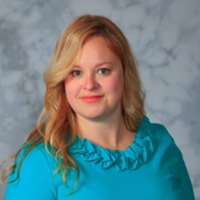 Dr. Jennie Sweet-Cushman joined Chatham University as the Assistant Director of the PCWP and Assistant Professor of Political Science in 2013. She earned her Ph.D. in Political Science from Wayne State University in Detroit in 2014, where her dissertation was entitled "Individual Differences in Psychological Evaluations of Electoral Risk: Furthering The Explanation of the Gender Gap in Candidate Emergence". Her research focuses on gender differences in in candidate emergence and public policy in Pennsylvania and the United States and has appeared in scholarly journals including: International Journal of Public Administration, Politics and the Life Sciences, Commonwealth, and Politics, Groups, and Identities. A resident of Pittsburgh, she was appointed to serve on the city's Equal Opportunity Review Commission in 2017. Prior to entering academia, she was a fellow of the Michigan Political Leadership Fellowship Program at Michigan State University and managed a successful U.S. congressional campaign. Annie Guadagnino is the Program Coordinator for the Center. Before joining PCWP's staff in 2012 she was a Campaign Director for Fund for the Public Interest and a Campus Organizer for the Public Interest Research Group. Annie is a 2009 graduate of the University of Michigan with a BA in Environmental Studies and a minor in Political Science. 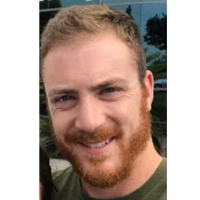 Matt Argento is a second year graduate student in the Master is Counseling Psychology program. In the center Matt is the graduate research assistant gathering data on elections at all levels in the state of Pennsylvania. Following his master's degree, he will pursue his doctoral degree in clinical psychology in order to work with fellow veterans transitioning to the civilian world from overseas deployments. Matt is also a veteran of the war in Afghanistan. Michelle Jones is a senior student at Chatham majoring in Communications and Public Relations and minoring in Social Service Administration, Marketing and Graphic Design. Originally from Toronto, Canada, Michelle is passionate about learning, athletics and volunteering. 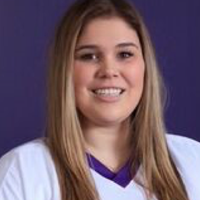 On campus, Michelle is a member of the women's ice hockey team, Scholars Program, Student Athlete Advocacy Committee and Lambda Pi Eta (Communications Honor Society). Michelle hopes to continue her studies in Pittsburgh, and one day find a way to work in sports communications and the non-profit sector. Kallie Vento is a senior Communications and Political Science dual major at Chatham University. 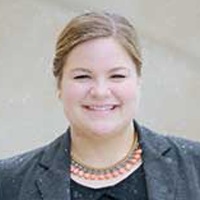 Besides being an Office Assistant for the Pennsylvania Center for Women and Politics, Kallie is also involved on campus as a Resident Assistant for Fickes Hall, and the president of the Pre-law club. 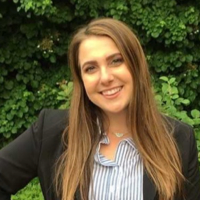 With a passion for legal advocacy, politics, and social media, Kallie hopes to attend law school in the fall of 2019. 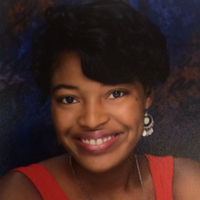 Lalah C. Williams is a First Year Student at Chatham University majoring in Policy Studies and minoring in French. Originally from Upper Marlboro, Maryland, she enjoys camping, traveling and singing. Outside of class, Lalah is a Class Representative for the class of 2022 and a member of Chatham's Living Learning Community. She is also a Gold Reward recipient and a lifetime Girl Scout. At the PCWP, Lalah looks forward to working on events and marketing materials as a Program Assistant.